Australia vs Sri Lanka 1st Test Live Cricket Streaming Day 1: After losing to India in the Test series, Tim Paine-led Australia would like to forget that and start from a clean slate. 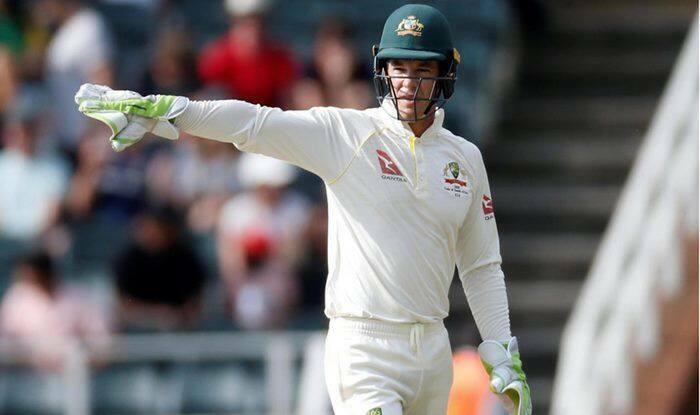 Australia vs Sri Lanka 1st Test Live Cricket Streaming Day 1: After losing to India in the Test series, Tim Paine-led Australia would like to forget that and start from a clean slate. On the other hand, Sri Lanka is woefully out-of-form and would like to regain some confidence. Chandimal would be leading the Lankans as Paine would be his counterpart for Australia. Kurtis Patterson will make his debut as Roshan Silva would be a new face for the Lankans. Both the team are low on confidence and would look to get some of the other. That would spice up the Test series as it is labelled as the clash of the equals. When and what time will Australia vs Sri Lanka 1st Test take place? Australia vs Sri Lanka 1st Test will start at 8:30 AM IST (January 24). The toss will take place at 8:00 AM IST. Where will Australia vs Sri Lanka 1st Test take place? Australia vs Sri Lanka 1st Test will take place at the Gabba in Brisbane and will be played under lights. Which channel will telecast Australia vs Sri Lanka 1st Test on TV? Australia vs Sri Lanka 1st Test will be aired live on Sony Ten 3 and Sony Ten 3 HD. How to watch live streaming of Australia vs Sri Lanka 1st Test online? The live streaming of Australia vs Sri Lanka 1st Test will be available on Jio TV, Sony Liv and Airtel TV. What are the squads of Australia vs West Indies 1st Test? Playing XI: Joe Burns, Marcus Harris, Usman Khawaja, Marnus Labuschagne, Kurtis Patterson, Travis Head, Tim Paine (c/wk), Pat Cummins, Mitchell Starc, Nathan Lyon, Jhye Richardson.